Fresh is one of my all-time favorite skincare brands for so many reasons. From the gorgeous packaging to the amazing results, almost everything I’ve tried from the brand has been a hit. One of their ranges that I hadn’t explored that much was the Black Tea line. Black tea has been used in skincare for centuries and has many benefits for your skin, so I had my eye on Fresh’s Black Tea range for ages. Thankfully I was able to get my hands on some of the range, and I am happy to say I’ve discovered a few new products that have permanent homes in my skincare routine. “What the heck is an essence?” – Michelle circa 2017. This year I’ve been obsessed with essences, and the Kombucha Essence from Fresh is one of the best that I’ve tried. I actually went to Fresh’s Kombucha event in Toronto and got to hang out with the brand’s co-founder Alina Roytberg, which was so exciting. She gave me a mini tutorial on how to use this essence, and it was so amazing to see how enthusiastic she was about the product! Since that night, I’ve been using this every day and it has made such a drastic impact to my skin’s overall texture. My skin is so much more hydrated and soft, and I love that this essence protects my skin from pollutants. I also noticed that this essence is very soothing, which has been a lifesaver during this cold Toronto winter. While the product is pretty up there in price, the bottle has lasted me ages and I will definitely repurchase once I run out. Teachers college essentials: an extensive planner, tons of coffee, and eye cream. The Black Tea Eye Cream from Fresh is phenomenal in the sense that it makes me look like I get enough sleep every night. Between blogging and teaching, I don’t have a lot of downtime so this eye cream makes me look way more put together. I load up on this eye cream before bed and it has made such a drastic difference to my dark circles. Also I find that it is very cooling and soothing, so after applying this my eyes look way less puffy! If you’re looking to invest in a good eye cream, this is it! Don’t you wish Instagram filters existed in real life? Thankfully the Instant Perfecting Mask from Fresh exists and gives my skin the boost I need. I love using this before a night out when I really want to make sure my makeup is looking its best. This mask blurs fine lines, hydrates, smooths out imperfections, and minimizes the look of pores all in a matter of five minutes, so it’s the perfect pre-makeup mask! Also as an added bonus, it smells absolutely phenomenal and has a lovely whipped texture. Dry skin? Sorry I don’t know her! 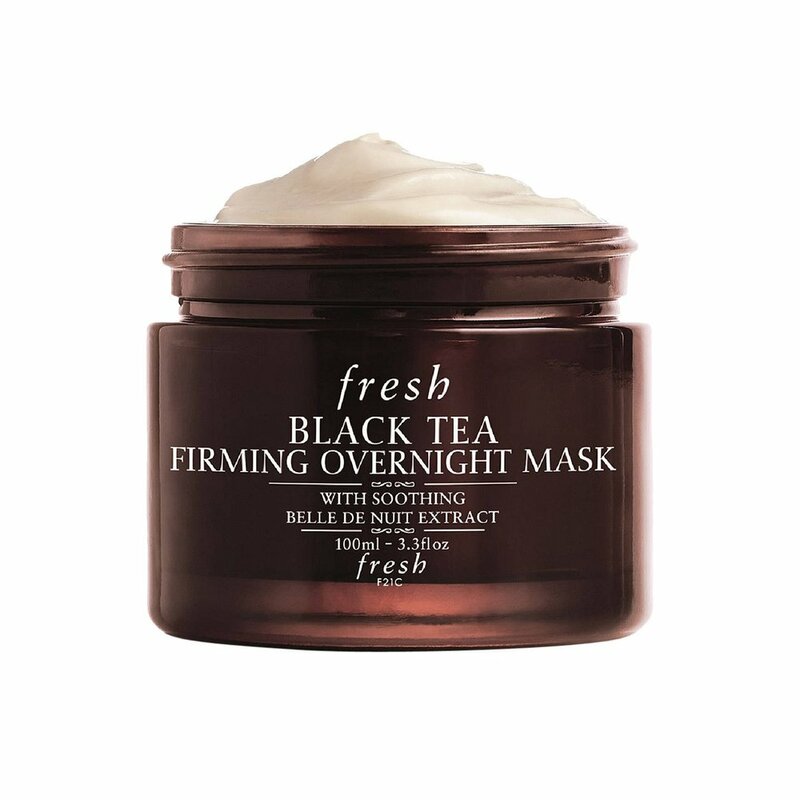 Toronto has been so cold and dry lately, but thankfully my skin is in good shape and it’s all thanks to the Black Tea Firming Overnight Mask. I apply this thick, whipped mask before bed and wake up to hydrated, firm, glowing skin! I find that this mask is very nourishing and moisturizing, but doesn’t aggravate my oily skin or clog pores. While this product is definitely very expensive, I personally think it’s worth it considering what it does for my skin. You also don’t need a ton of product for each application so the jar should last you a while.